A long-time staple of science fiction has been the concept of suspended animation. It’s one of the ways to get around the immensely long travel times astronauts heading to the outer planets or other solar systems must endure. The usual SFnal approach has been “cold sleep,” where the suspended animation is achieved by means of extremely low temperatures: a kind of cryogenic suspension, with undefined futuristic technology somehow prevent cell damage and death in the human icicles. In all the mice, metabolic measurements such as consumption of oxygen and production of carbon dioxide dropped in as little as 10 minutes after they began inhaling hydrogen sulfide, remained low as long as the gas was administered, and returned to normal within 30 minutes of the resumption of a normal air supply. The animals’ heart rate dropped nearly 50 percent during hydrogen sulfide adminstration, but there was no significant change in blood pressure or the strength of the heart beat. While respiration rate also decreased, there were no changes in blood oxygen levels, suggesting that vital organs were not at risk of oxygen starvation. 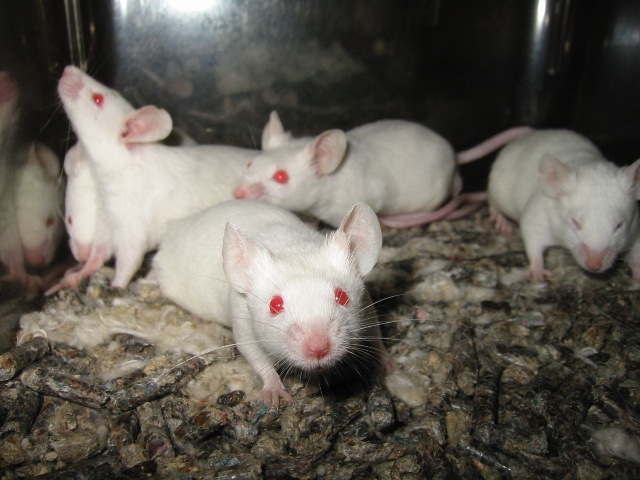 Of course, it’s always a large and fraught step from mice to humans, but if this discovery is transferable to humans, it could be used to allow organ function to be preserved when oxygen supply is limited, such as after a traumatic injury, the researchers say. the next step will be to study the use of hydrogen sulfide in larger mammals. It’s possible, they say, that in larger mammals hydrogen sulfide could be delivered via intravenous drugs, which would prevent lung toxicity. Start booking those flights to Alpha Centauri!